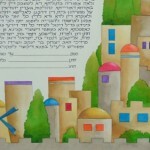 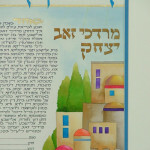 It was designed for the bride and groom using a colorful image of Jerusalem, making it fun and bright. 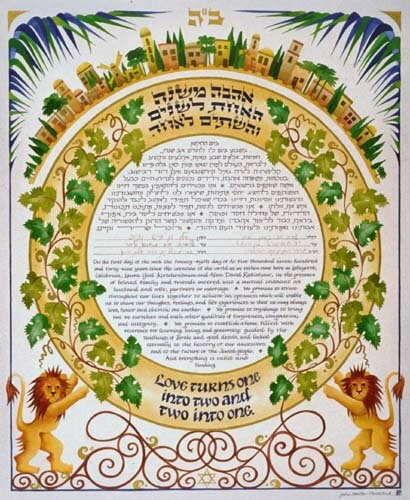 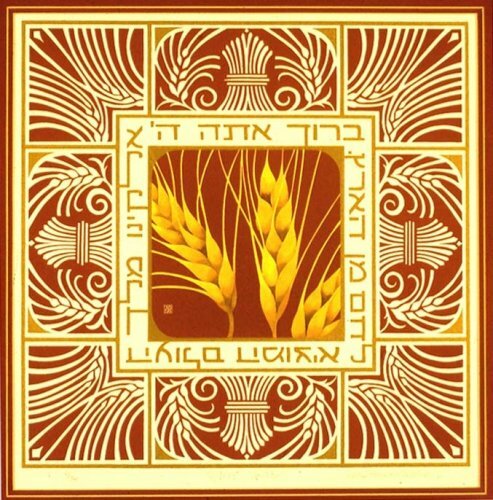 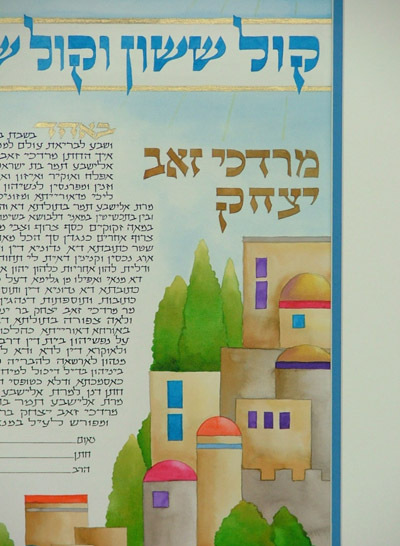 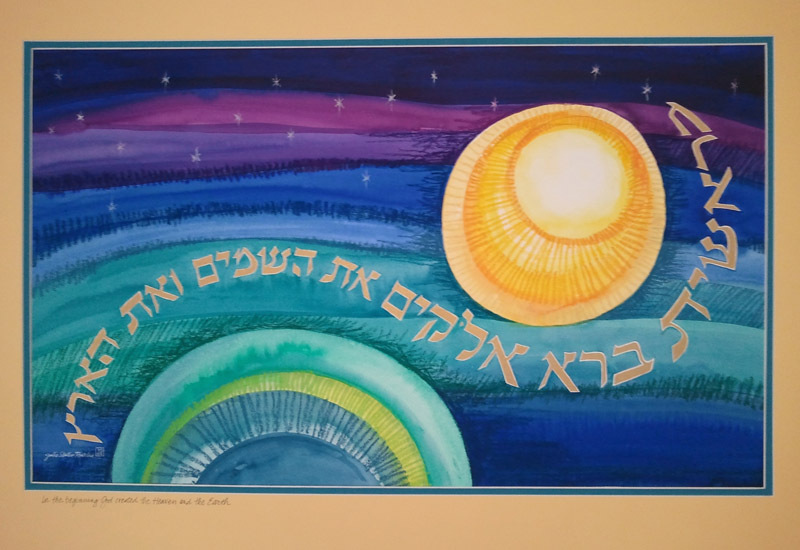 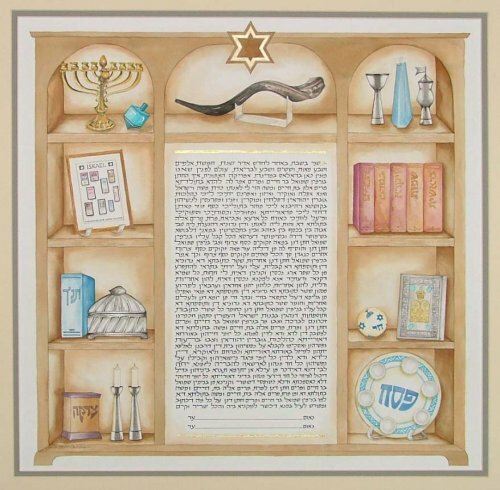 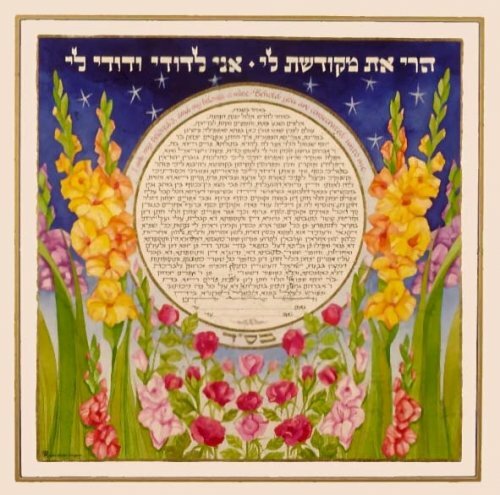 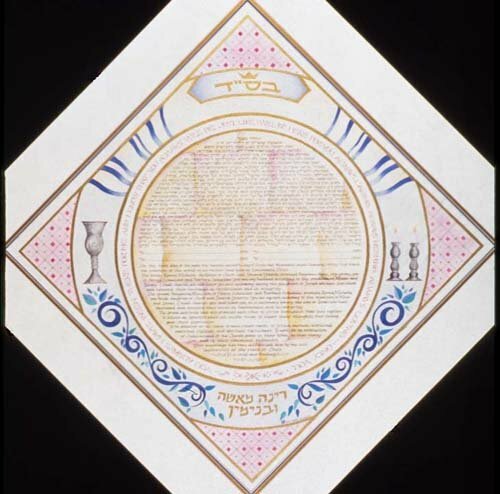 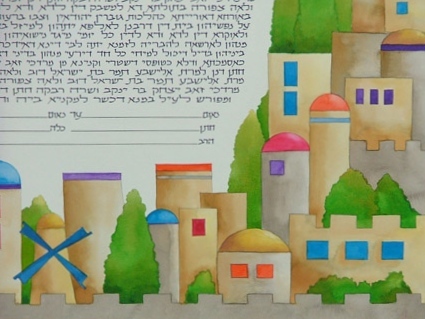 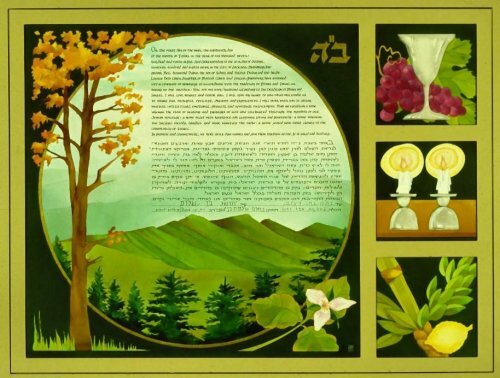 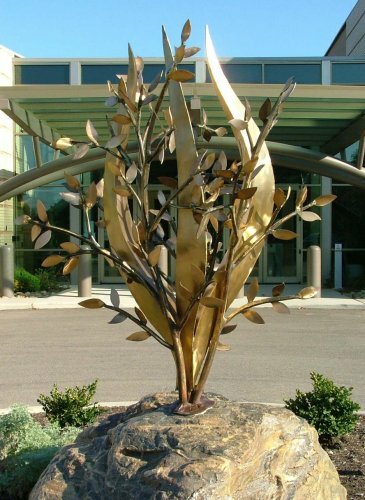 They asked for a part of the “Sheva Brachot”, the Seven Blessings said as part of the wedding ceremony, to be included in the art. 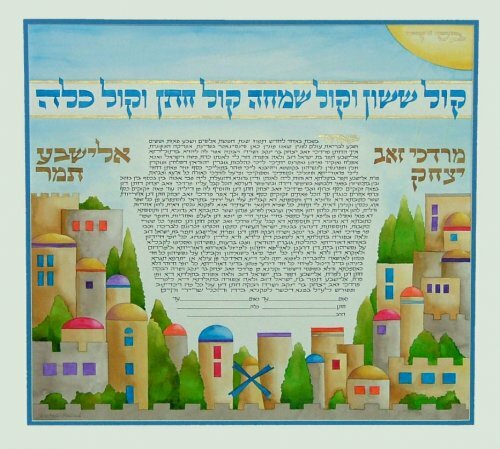 Their Hebrew names are shown on either side, above the city.